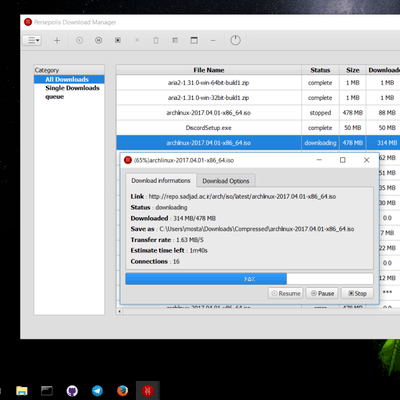 Boost Downloading Using Libre Software! 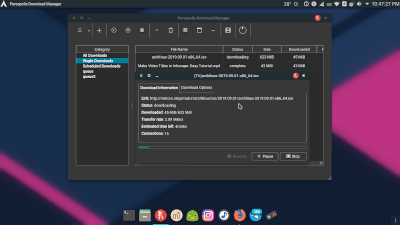 Persepolis is a Download Manager & a GUI For aria2. It's written in Python. Persepolis is a Sample of Free and open source software. 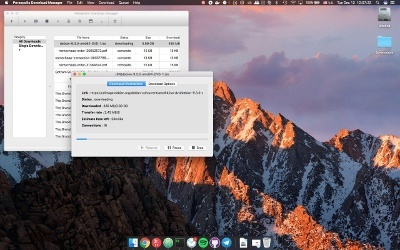 It's developed For GNU/Linux Distributions, BSDs, macOS and Microsoft Windows. You can join Persepolis contributers & Help us with developing it. To install Persepolis on MacOS, you need to just simply download the latest package from releases page then copy the .app file to your Applications folder! How to install Persepolis from source ? How to use tor and SOCKS proxy with Persepolis ? How to schedule my downloads ? 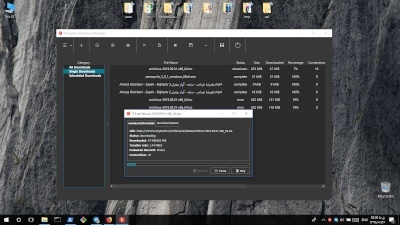 How to create download queue ? 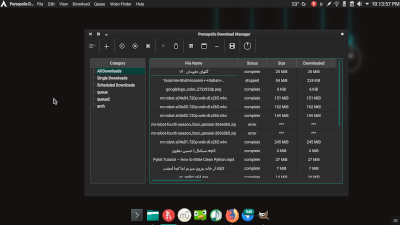 How to change Persepolis theme ? How to integrate Persepolis in Firefox ? 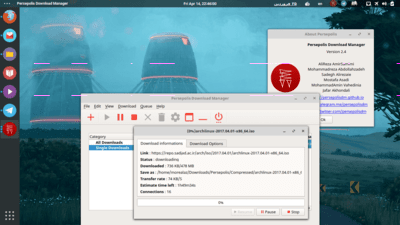 How to install Persepolis Download Manager on Debian-based Distributions ? How to integrate Persepolis in Opera ? How to integrate Persepolis in Vivaldi ? Here you can see what have been done for Persepolis! 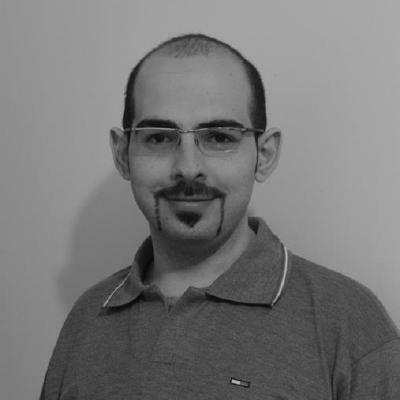 This year, The idea of Persepolis came to Alireza AmirSamimi's mind: Why not having a GUI wrapper for the great aria2 download engine which was only available through prompt wrapper aria2c? This release, is the very first release available on project repository! By that time, Persepolis was just a simple GUI for aria2. You enter your links, it starts downloading; very simple application with no additional features. Another important event in developing Persepolis was having its own site online, with special thanks to Sadegh Alirezaie. The site introduces the software and the installation method for various distros. We are glad to announce that Persepolis can be run on MacOS (tested on Sierra), either with dependecies (like Linux) or completely standalone! The .app package will be available with next release. By this time, We had released Persepolis 2.3. We've added Chrome integration, queues and more features to Persepolis and made it a better choice for users! We are glad to announce that Persepolis 2.4 can be run on Windows. In addition to that, many new features are added and several bugs are squished. Also, user interface is improved, too! People who contributed to this project! This people, helped the project behind-the-scene so that you can see what is now! 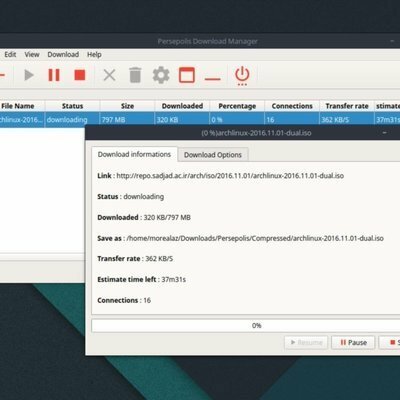 We are happy to announce the release of Persepolis Download Manager 3.1.0 . In this Version we have some good new features! 1- You can download from Youtube and ... with persepolis video finder! 2- We add Persian and chinese and french language translation to persepolis! It's experimental now! Go to preferences window for changing language. Question: How can I translate persepolis to my language? 3- Many reported bugs are fixed!. Thanks to all bug reportes! Thanks to contributors for pull requests and bug reports! 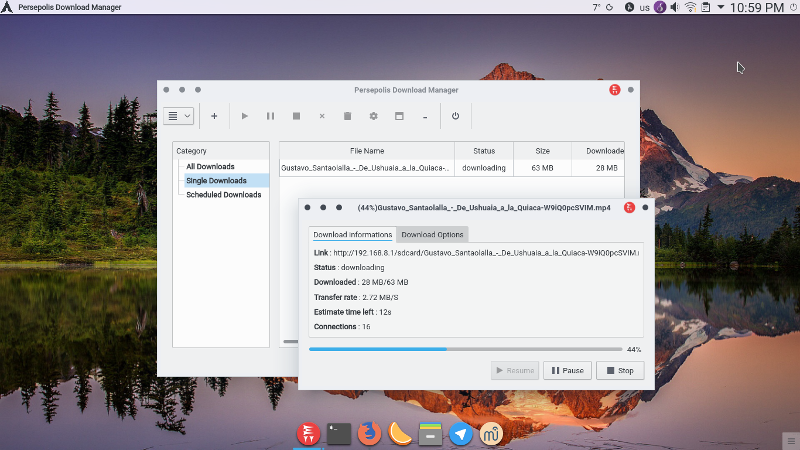 We are happy to announce the release of Persepolis Download Manager 3.0.1 . 1 - Compatbility bug with version 2 is fixed. 2 - UI issue with 4K displays is fixed. 3 - Queue crashing problem is fixed. 4 - other minor bugs. Special thanks to contributors for bug reports! * In this version all codes are rewritten! * Now we use python setup tools for installation. * We change data base to Sqlite! so in this version persepolis is lighter and faster and more stable than before. 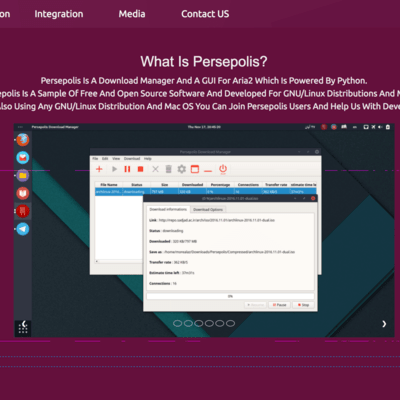 * From this version opera and vivaldi users can use our chrome extension for integrating persepolis to their browsers. * We have new icons and theme, Thanks to Papirus team for designing our new icons. * Many bugs is fixed. Special thanks to Persepolis developers and contributors for pull requests, bug reports and feature requests! many bugs is fixed and user interface is improved. please see preferences window. You can put Persepolis on startup . You can customize size of columns in download table or hide some of them. We released Microsoft Windows version of Persepolis.  GNU/Linux and Mac and Windows and BSD and Windows users can use Persepolis Download Manager now. Our chrome extension improved and now you can select multi links and download them with persepolis. Our Firefox extension will release very soon! but you can stil use firefox flashgot extension. Special thanks to our conributors for pull requests and bug reports and feature requests!